Make any Irish cigar enthusiast feel special with a personalized humidor in which to store his prized collection. 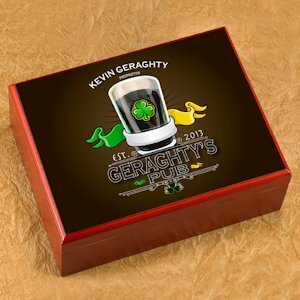 This Irish Pub Humidor will keep out the Blarney - and the air - from his cigars. The classy, full-color design becomes a one-of-a-kind piece when customized with the information you provide at checkout. 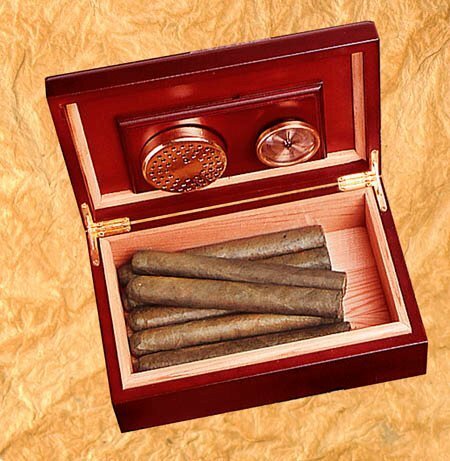 Humidor measures 9-1/2" by 3-5/8" by 7" and is personalized with first and last name and year established.